Can I run something by you? No, it’s not my idea for a new line of hearty soups called Stock-y’s® (our flagship mélange is a playful little number called French Onion Rings), but remind me to bring that up when you’re in a high-risk-investment kind of mood. Actually, it’s more like a some-one that I intend to run by you. I’m talking about my daughter, and, gurl, am I proud of her! I mean, she’s only 5 months old, and already able to move at speeds of up to 10 miles per hour. How is this possible, you ask? Well, if you think I’ve been beefing up my baby by feeding her a prototype of Stock-y’s® Filet Mignonstrone, you are sorely mistaken! Although, I could see how one might think Stock-y’s® FDA-acknowledged Liquid Entree Creations would be perfectly suited for a toothless baby. Furthermore, I could see how an innocent suggestion to ditch the organic butternut squash puree in favor of Stocky’s® Premium New England Cheeseburger Chowder could go viral on the mommy blogs in a matter of days. Farthermore, I could see how this would all make me very, very rich. But that’s not what I’m saying. 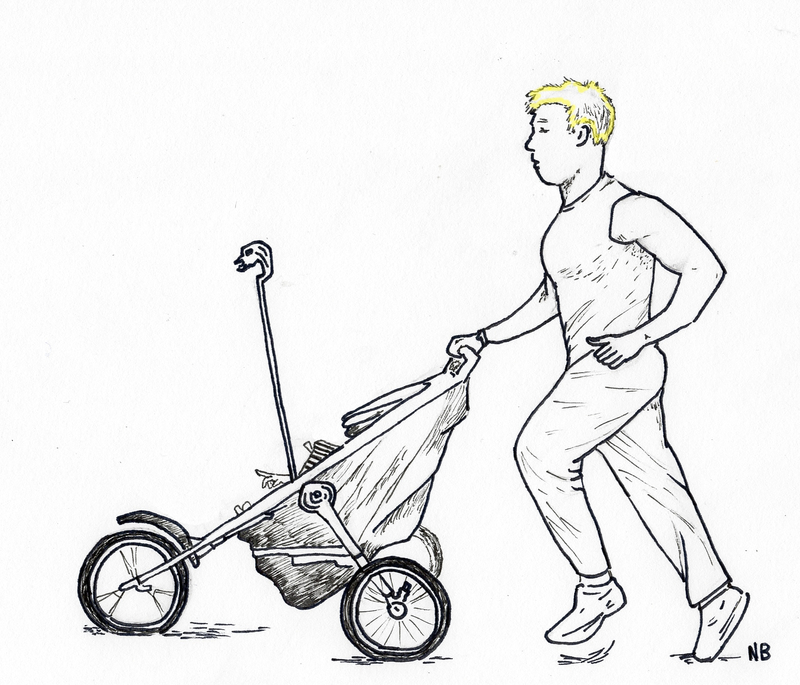 Actually, the reason my daughter could beat Usain Bolt in the 100 meter dash (Usain would be driving a really slow golf cart) is because I recently acquired a jogging stroller. That’s right, I’m one of “Those Guys” who conveys their child around the neighborhood like Egyptian Royalty. Of course, after only two days of ownership, it snowed. In retrospect, buying a jogging stroller in November may have been a high-risk investment. Speaking of, let’s talk Corn Syrup Bisque! Darn it, now I want soup! Hey there, Will! You (and your posts) are more wonderful than words can convey. Come visit us in Philly sometime so we can see that gorgeous baby! Thank you Martha! We’d love to. Perhaps once said baby is sleeping less like a hamster and more like a human being. Am I the only one who thinks that Filet Mignonstrone sounds freakin awesome? Maybe it’s because I’m a hungry steak lover. I write from the stomach. I believe you are referring to dog sleds. They are excellent for burning off Filet Mignonstrone. No, actually I was thinking they could create something similar to the jogging stroller, but with skis on the bottom instead, so Daddy (who, of course, can run on ice) takes baby along for his morning run. How much is this jogging sled going to set me back? I don’t know – how much ‘ya got? My budget for exercise equipment is like an electron – I know it exists, but as soon as I try to view it, it’s being used in a completely different place.